One of the most enjoyable things on any trip is discovering the local cuisine and Valencia has a lot to offer in this regard. In this review of some of city’s best restaurants, we’ll offer you tips on how to get the most flavour out of your trip to Valencia. The most important dish here is rice and you can’t leave Valencia until you’ve tried it. There are a wide range of recipes including everything from paella to baked rice, rice with seafood, duck, lobster, wild mushrooms, black rice and many more. 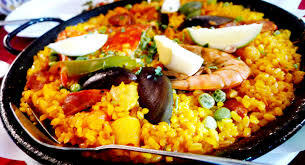 There’s a rice dish to suit every taste and a large array of restaurants too. …and enjoy your stay in Valencia with Red Nest Hostel.